When the Office of Management and Budget launched its big federal grants reform initiative a couple of years ago, it heard a lot of complaints from nonprofit organizations about indirect cost recovery — or, more accurately, the lack of it. OMB was told that some federal agencies and many pass-through entities were refusing to recognize and reimburse those legitimate costs of performing federal awards. Many nonprofit organizations were not able to obtain a federal negotiated indirect cost rate agreement because they often did not have a direct funding relationship with a federal agency. Yet, even when they calculated their rate according to the applicable procedures, pass-through entities were refusing to accept the calculation unless it was federally approved. Talk about a “Catch 22!” Even those organizations that did have federally negotiated rates encountered resistance from awarding agencies in fully accepting them. So, OMB stepped in to address these problems with new governmentwide policies that will have a big impact on nonprofit organizations. The new policies require full recognition of federally negotiated rates where they exist and mandate alternative methods for indirect cost recovery for those that do not have federal rates. These policies open the door to fair treatment but nonprofit organizations need to understand how to formulate their indirect cost documentation in accordance with OMB’s new procedures and how to convince federal agencies and pass-through entities to accept those calculations. This webinar will provide you with the tools to do that. What are the real requirements on federal agency indirect cost cognizance? What options are available for nonprofit subrecipients to recover their indirect costs? 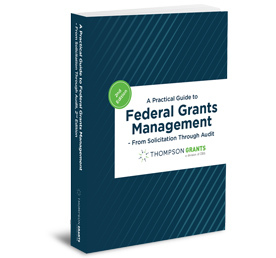 What federal resources are geared specifically to helping nonprofit organizations recover their indirect costs?